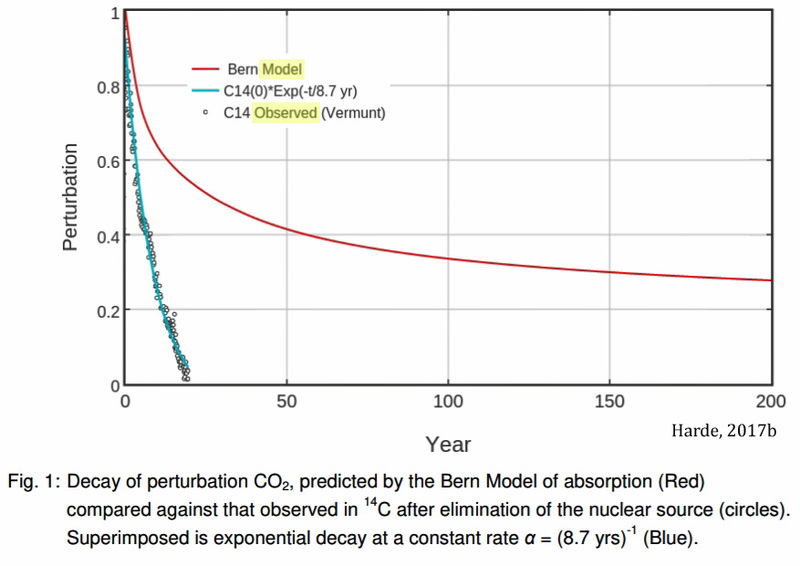 A 2017 peer-reviewed paper authored by physicist Dr. Hermann Harde drew considerable response upon its publication in the journal Global and Planetary Change. 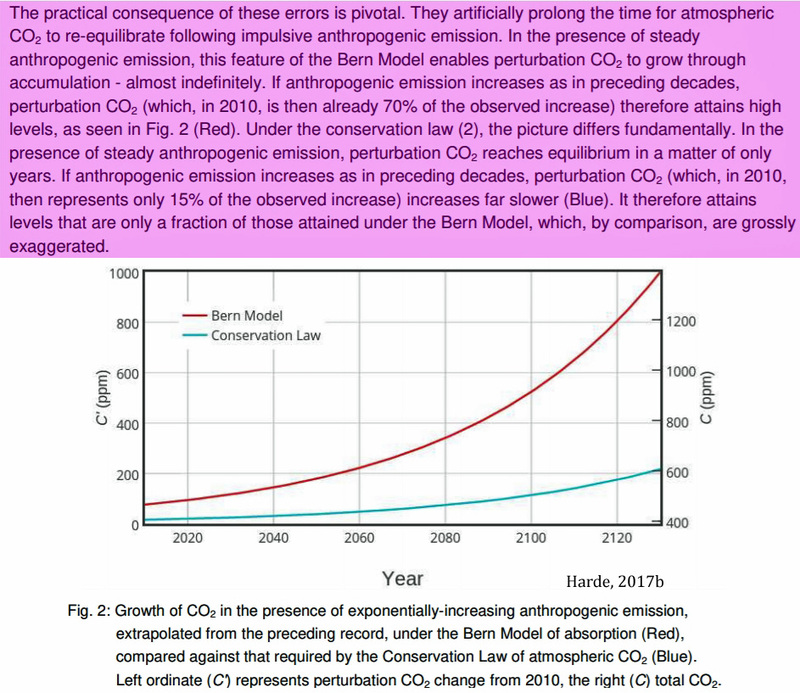 Harde’s conclusion that less than 15% of the increase in CO2 concentration since the 19th century could be attributed to anthropogenic emissions was deemed unacceptable by gatekeepers of the anthropogenic global warming (AGW) viewpoint. A critical reply to the paper was consequently published, but it included assumptive errors and misrepresentations of the original points. Harde’s exhaustive reply to the criticism has been refused publication, which has effectively silenced scientific debate on this salient topic. We have yet another example of AGW advocates like Gavin Schmidt running away from real scientific debates with skeptics. 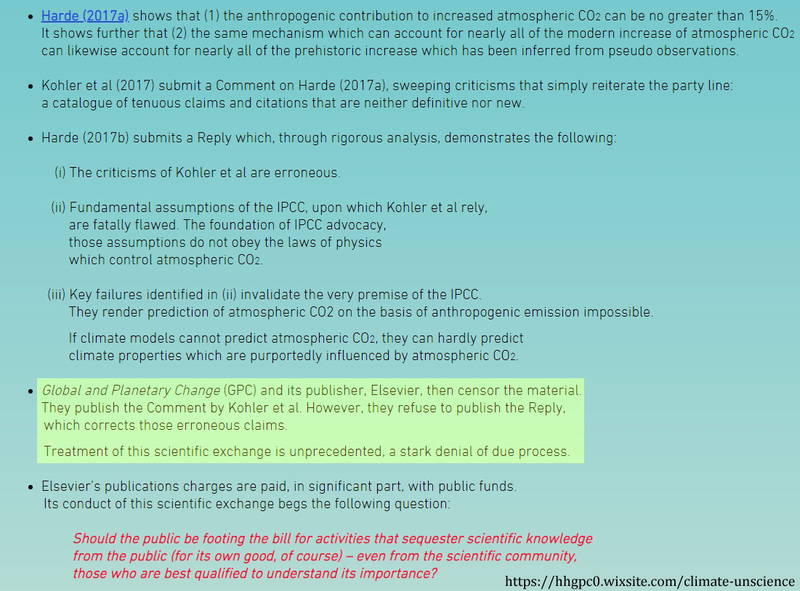 After receiving appeal-to-authority pressure from Gavin Schmidt and other activists at RealClimate.org, the overseers of the Elsevier journal Global and Planetary Change have refused to allow the public to read the exhaustive response to criticisms levied against a peer-reviewed paper they originally agreed to publish. Within months after the Harde paper was published, Köhler et al. 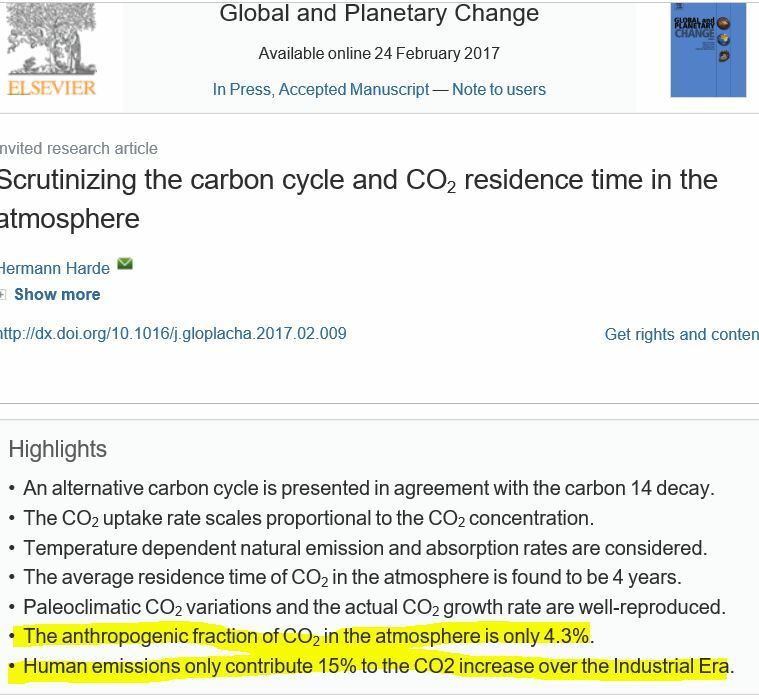 (2017), was quickly cobbled together and published in Global and Planetary Change in an attempt to “refute” the conclusions of the Harde (2017) paper. The problem was, Köhler et al. (2017) did not accurately critique the actual points made in the original paper, but instead they devised alternative or erroneous versions of Harde’s positions and then critiqued those instead. In other words, they used the straw man argumenttactic in their “rebuttal” paper. In an unpublished response to the Köhler “critque” paper, Harde contends that Köhler et al. also employ “ad hoc”argumentation, “circular reasoning”, the “failure of logic” inherent in the practice of “validation by consensus”, and an overall reliance on models and assumptions rather than observation. Below is a summary of the silencing of scientific debate by the bloggers at RealClimate.org and by the overseers of the Global and Planetary Change journal.